President Donald Trump terminated the White House’s global warming website within an hour of being sworn into office Friday. The link for Obama’s old global warming webpage currently redirects to a Trump transition webpage. 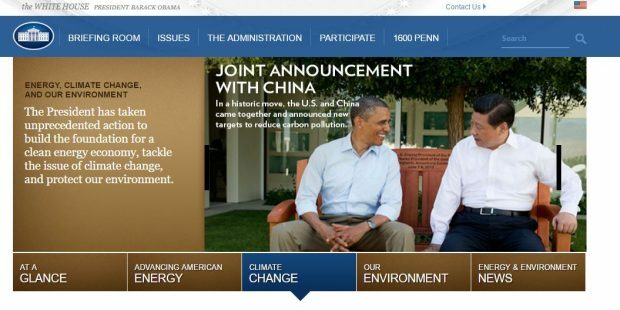 Obama’s webpage previously discussed global warming at length, paying particular attention to international agreements designed to slow it. Environmentalists have been terrified that terrified Trump will censor scientists or delete government data about global warming. They even tried create back-ups of National Oceanic and Atmospheric Administration (NOAA) temperature data to prevent this.